Carlo Willems is widely renowned, and very often asked, for his musical versatility and grand virtuosity in different fields of the musical world. Even more, through his ability to play all percussion instruments and mallets on the highest professional level with different orchestras, ensembles, and as a soloist, he delivered lots of professional percussionists, working in different highly ranked professional orchestras and winners of different competitions. Carlo Willems received his musical education at the Lemmens Institute (Leuven, Belgium). He obtained the highest degrees in music reading, harmony, percussion and chamber music. 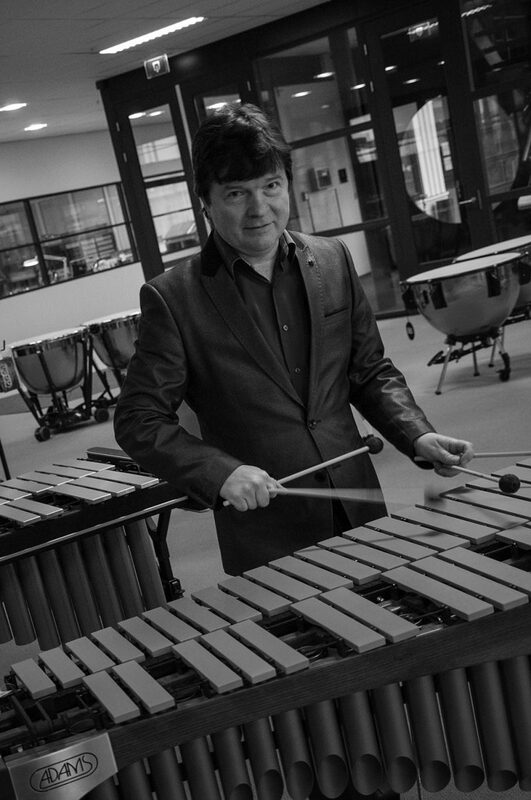 He is currently professor percussion at the Lemmens Institute and the Royal Conservatory of Antwerp (Belgium). Known as composer, his works are often played and well received by the audience. In the past, he has won the Belgian TENUTO contest for soloists (1985) and the Festival of Flanders Chamber Music Contest (1989). He has performed as a soloist with the Brussels Philharmonic Orchestra, I Fiamminghi, Collegium Instrumentale Brugense, Il Novecento, The Walter Boeykens Ensemble and The Prometheus Ensemble. By this occasion, he had the opportunity to perform with conductors like Fernand Terby, Etienne Siebens, Sylveer Van den Broeck, Patrick Peire, Dirk Brossé, Walter Boeykens, Danielle Callegari, Philippe Herreweghe, Pascal Rophé, François-Xavier Roth, Robert Groslot…. He is often invited for masterclasses and he plays a lot of concerts during the year performing both classical and jazz repertoire. He is an active member of I Solisti. Carlo recorded several solo CD’s. As a teacher, he is tied to LUCA School of Arts Leuven, AP university college Antwerp and School of Music Tienen (Belgium).